In 2005, three generations of the Nathanson family—headed by 75-year-old, Abe — worked together to create a fast, fun and easily portable word game. 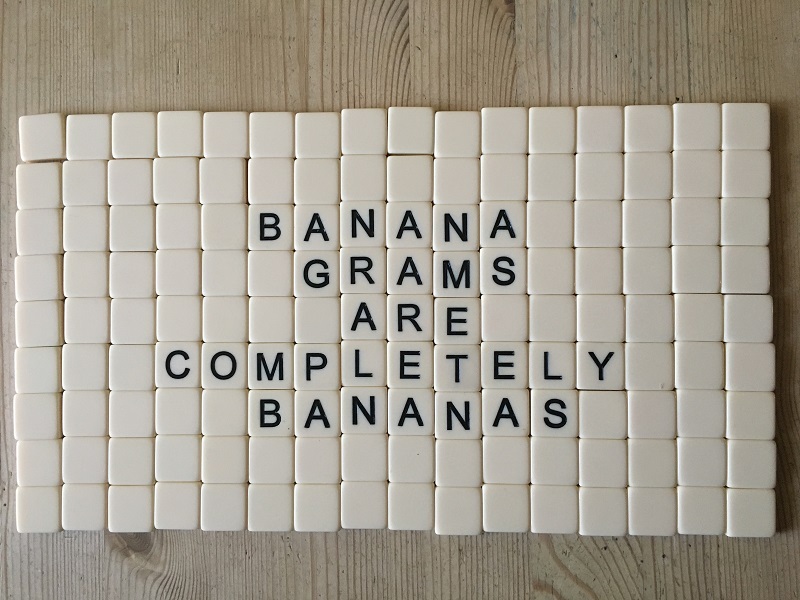 They called it, Bananagrams. Since then, the game has won several toy awards and brought in about $90 million in sales. It’s also spawned several books and an entire fruit bowl of other games. Here mumpreneur Rena Nathanson, who has just appeared on CNBC’s TV programme ‘How I Made My Millions’ tells us how she turned her kitchen table start-up into a multi-million dollar business. Quite literally, the need to support myself and my children after my marriage broke up. The children, my father and I had come up with the idea for the Bananagrams game just for fun on a family holiday, because we all love word and board games but found the slow pace of many of them frustrating. I realised it had commercial potential, so it seemed an obvious next step to develop and market it. Like everyone, I’ve had to work out the best way to balance parenting and work. I was putting in 50-60 hour weeks at first while caring for my 10 and 7 year olds. It’s become easier now they’re older and I’ve learned to anticipate and plan my workload more realistically over the last few years. How much my family matters to me. I’m originally from the USA and I’m in touch with my family over there every day. My dad was a real inspiration and heavily involved with the business up until he passed away in 2010. My kids – now teenagers – continue to inspire me with ideas and have robust opinions that are really useful when we’re dreaming up new games together – we’ve successfully launched four other games alongside Bananagrams (Appletters, PAIRSinPEARS, ZIP-IT and Fruitominoes), as well as Jumbo versions of Bananagrams and ZIP-IT and various foreign language editions. We also have a special London 2012 edition of the game. I love working for myself and setting my own schedule – though it’s been a learning curve to balance my time. I’m proud that I’ve grasped the all-round skills you need to run a business, things like financial and export management that I’d no experience of before. It’s also fantastic to be able to put something into causes I care about. Bananagrams supports several childrens’ charities and it’s incredibly fulfilling to be able to share the fruits of our success with needy families, kids and causes. Do something you’re passionate about. Bananagrams was close to my heart because it is so strongly connected with the roots of my family. That passion has made me determined and focused and has motivated me through challenges. Of course you have to be commercially minded too, but it does make a difference if people see your enthusiasm and belief in what you’re doing. How did you take your product from kitchen table to a worldwide market? We worked out the concept as a family one holiday. 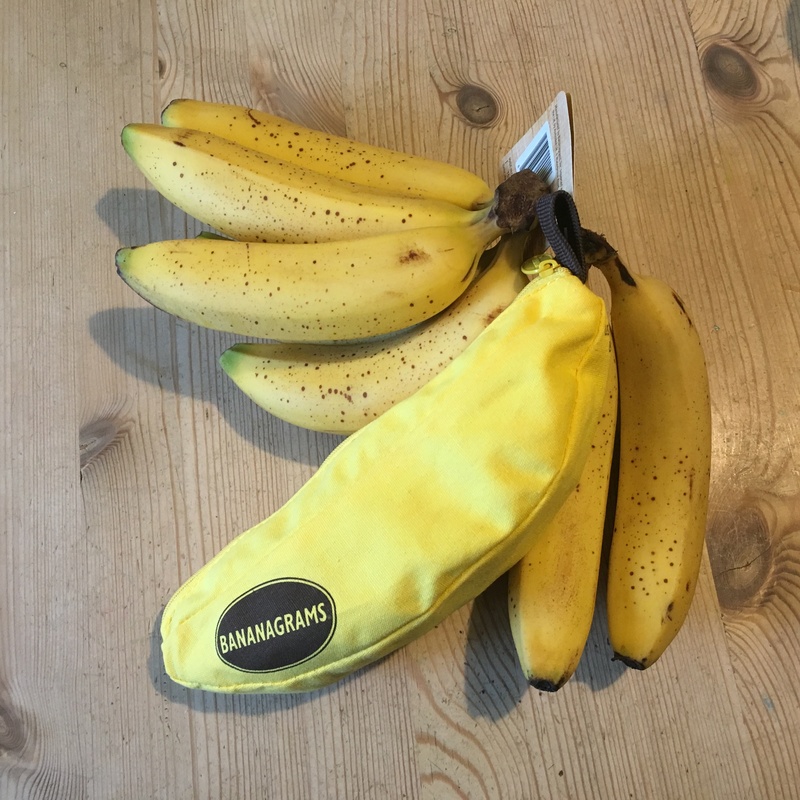 The name comes from my dad saying, “this anagram game is driving me bananas!” That, in turn, inspired my Mom and me to come up with the banana-shaped bag that has become an iconic feature of the game. We developed a prototype, tested it with friends and sold it ourselves locally in the States. The official launch was at the London Toy Fair in 2006. There was a lot of interest from buyers and I had to get smart very quickly with import and export, since there was demand from all over the world. We’ve since sold more than 6 million games in 31 countries worldwide. How has being a mum contributed to your business success? Wow! That is an inspiring article. Having kids introduces Mums to all sorts of ideas and concepts and new opportunities. Not every one takes them and runs with them though. It’s wonderful to see. As a word game lover and word nerd I’ll be tracking it down for me and my kids too!